With hydropower and fossil fuel potential nearing exhaustion, the development of wind and solar energy is becoming a necessity. The coastal province of Ninh Thuận in south central Vietnam, blessed with abundant sunshine and wind, is aspiring to become the country’s centre of renewable energy and realise its ambitions via robust development policies. According to the province’s green energy plan, by 2030, Ninh Thuận would draw in wind and solar energy projects with installed capacity of nearly 1,500MW and 3,900MW, respectively. 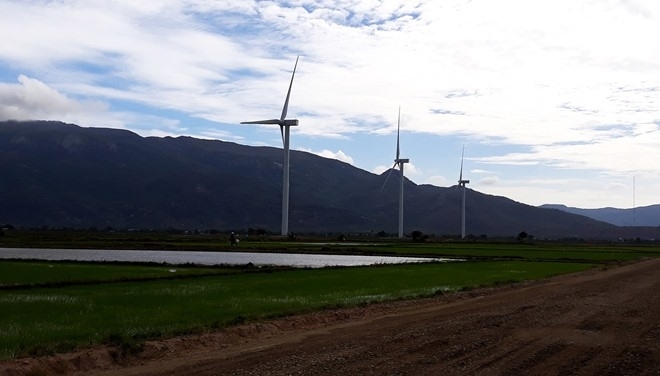 Currently, there are 15 wind energy projects in Ninh Thuận that have got the seal of approval from the Government and the Ministry of Industry and Trade (MoIT), 12 of which have received investment certificates for a total capacity of 750MW and capital of VND25.6 trillion. Regarding solar energy, 25 projects have been approved, 18 of which have received investment certificates for total capacity of 999MW and registered investment of VND28 trillion. In a bid to attract more renewable energy projects, provincial authorities have been offering unstinting policies for investors, which usually hit the ‘ceiling level’ of incentives allowed by the Government to facilitate the completion of projects. Specifically, renewable energy investors would enjoy a waiving of land lease fees for the entire project’s lifetime, corporate tax exemption for the first four years and a corporate tax rate of 10 percent for the next nine years, half the standard rate. Import tax for procurement of fixed assets in renewable projects would also be reduced to zero. 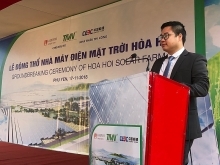 Phạm Văn Hậu, Vice Chairman of Ninh Thuận People’s Committee, said he believed in the province’s potential to lead the country in developing renewable energy. “We prioritise capable and experienced investors who possess hi-tech expertise and determination to carry out renewable energy projects in the province,” Hậu said. In the future, the provincial People’s Committee would continue to direct its agencies in working with investors to settle bottlenecks in land clearance and business procedures. Wind and solar energy projects, once they enter commercial production, will bring “significant contributions” to Việt Nam’s energy security, in tandem with its role in local socio-development, Hậu added. The province has even requested the Ministry of Industry and Trade to review and shorten the evaluation time for renewable energy projects’ basic design, to allow investors to soon bring their projects into operation and enjoy the Government’s preferential policies as set in Decision No.11/2017/QĐ-TTg, which is the first legal framework to promote solar energy in the country. 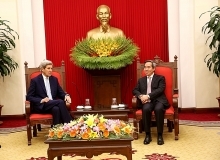 Ninh Thuận has also asked the MoIT to issue national standards on wind energy and solar energy. Phạm Đăng Thành, head of Ninh Thuận’s department of industry and trade, told Vietnam News Agency that in order to facilitate the process of connecting solar and wind power plants to the national grid, the province has asked the Government to pour resources into developing a fully-fledged electricity transmission infrastructure to prepare for growing demand. “The province’s current transmission infrastructure is weak as it was built with local socio-economic development in mind and not meant to handle the surge of demand once the many renewable energy projects in the province start production,” Thành said. The province, after working with investors and would-be investors in renewable energy, has submitted a request to the Government to increase the current feed-in-tariff for wind energy (7.8 cent/kWh) as well as prolong the application of solar power feed-in-tariff stated in Decision No.11. Four wind energy projects have started construction and are expected to go into operation within the year, including Đầm Nại project in Ninh Hải and Thuận Bắc districts with installed capacity of 40MW and total investment reaching over VND1.5 trillion (US$65.78 million). Three turbines of 6MW, as part of the project’s phase 1, have started running and phase 2 is expected to be completed in 2018. Three others slated to be completed are the VND1.47 trillion Mũi Dinh wind power plant in Thuận Nam District with capacity of 37.6MW, Trung Nam wind power plant in Thuận Bắc District with total investment of nearly VND4 trillion and Công Hải 1 plant also in Thuận Bắc District. Three solar energy projects have also started construction and are scheduled to deliver the first batch of green energy this year, namely the Bim plant with capacity of 30MW and total investment of VND797 billion, the 50MW Bầu Ngứ project with investment of VND1.15 trillion and the largest solar project in Vietnam, CMX Renewable Energy project in Ninh Sơn District with total capacity of 169MW and investment of VND4.4 trillion. The CMX project, undertaken by the CMX Re Sunseap Vietnam Co Ltd, is expected to be fully completed and join the national power grid in June next year.